Take a look at Charlie's short article on how she became published! I was writing an assignment in my second year which included a reflection about a time where I was ageist. It really made me stop and think about my actions in everyday life in particular how someone could show ageist discrimination without intending it to be that way. After it was marked I got an email form a very supportive lecturer, Catharine Jenkins, asking and encouraging me to send it off to a journal to see if it could be published. I really didn’t think it would even be considered as I was convinced nobody would ever want to read anything that had written but I was inspired by her enthusiasm and thought it would be worth a shot while help was being offered. 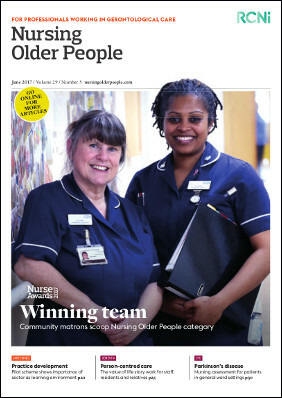 When it came back with interest from Nursing Older People Journal along with comments on how I can improve I was completely shocked! Although this seemed overwhelming initially with all of the work, I tried to make the changes and resent it until it was finally accepted. I could not explain how it felt to actually get that email saying your article has been accepted for publication. It wasn’t easy by a long shot but it was so worth it for the feeling of accomplishment you get afterwards. I received an amazing amount of guidance and support from Catharine about how to become published and encouragement from my fellow HARS students and Juliette Gaunt who runs the HARS scheme and learnt a lot about how to write an article but also how to send one off and the process in which it goes through. It was a truly great experience and I would encourage any student just to have a go and try even if they don’t think they have a shot because with hard work you never know what might happen.